The lower end of the audio market is extremely crowded, as a legion of anonymous Chinese brands pump out near-identical headsets by the thousands, and flog them on marketplaces like Amazon. TaoTronics isn’t one of them. It belongs to the same company that owns RavPower (who make fairly solid portable chargers), and Vava (which produces a line of commendably-decent speakers and “gaming” headphones). Although it doesn’t have the same brand value as Anker, it’s one of those rising tech companies worth paying attention to. 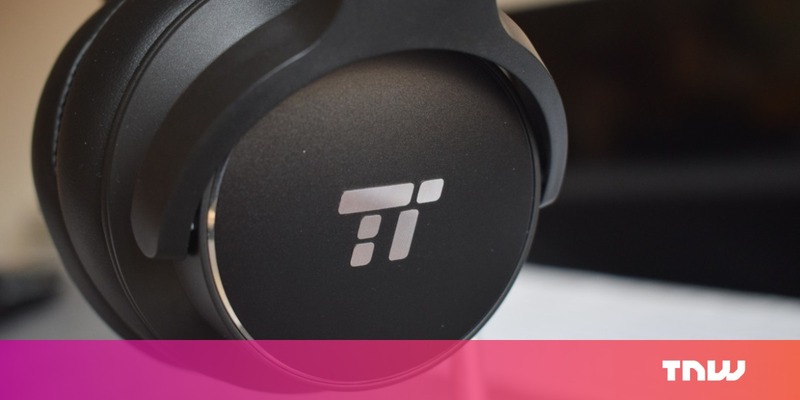 I got the chance to review TaoTronics’ latest pair of affordable noise-cancelling headphones — the snappily-named TaoTronics TT-BH040. This retails for $70, and boasts features like active noise cancelling (ANC) and 30-hour’s worth of battery life. But is it any good? For the money you pay, yes. 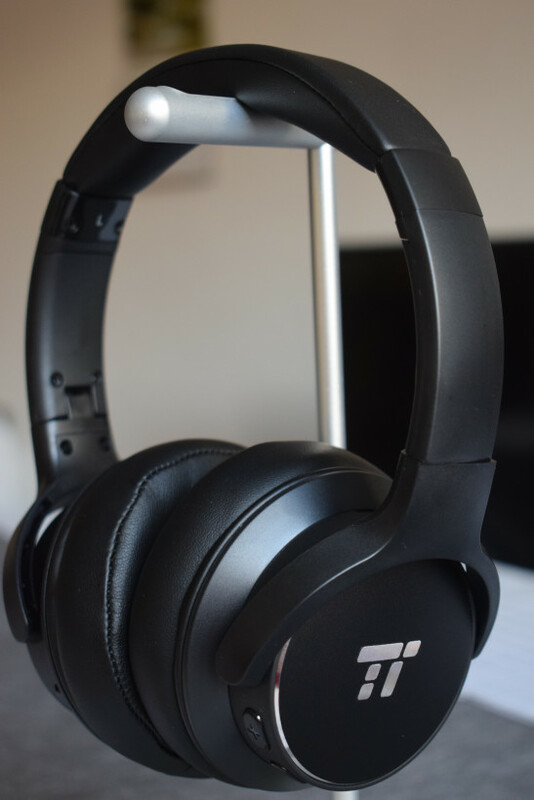 This’ll be the shortest part of our review, because the TaoTronics TT-BH040 are a pair of fairly conventional-looking headphones. They’re black. They have a bunch of chunky, plastic buttons that are responsive and solid. While they aren’t hideous, they’re unlikely to win any beauty contests — although at the price point, you wouldn’t really expect them to. There’s no gimmicks like voice commands and gesture recognition (which, in my experience, is usually more of a hindrance than a help), or anything like that. They’re basic. They’re unabashedly utilitarian. One thing I enjoyed about the these cans is how wide the cups are. These covered my ears quite well, allowing for comfortable listening over long hours, while limiting the amount of noise that bleeds in — or indeed, leaks out. Inside the box you’ll find a hard case, and a welcome bundle of peripherals. This includes a 3.5mm jack, for when you’re listening to something that lacks Bluetooth support, a microUSB cable, and an adaptor for the two-pronged headphone jacks you sometimes see on airplanes. Told you it’d be short. Let’s move onto how they perform. It’s worth remembering that these cans are bargain-basement. They only cost $70, which is pretty much nothing in the headphones world. Don’t get me wrong, it does a pretty solid job of filtering out the most annoying outside noises, but at the end of the day, they’ll remain audible in the background. Point in question: I recently flew from Romania to the UK on an ancient Boeing 737-400, and the cans’ ANC kept the roar from the engines at bay. I could still hear them, but they didn’t overpower the quiet, cliched introspection of whatever nerdy NPR podcast host I was listening to. Its performance perfectly acceptable for a pair of cans in its price point, but don’t be fooled: you can get far superior performance if you pay more. Like every headphone manufacturer in this space (and their dogs), TaoTronics claims that the TT-BH040 offers deep bass. It’s perhaps fairer to say that it emphasizes the lows more than the highs. While they’re certainly bass-heavy, the cans lack detail, and at higher volumes, the lows felt muddy and somewhat harsh. This was certainly true across genres, and could be listening to Childish Gambino’s trip-hop anthem This Is America, or Hopopono from Mancunian jazz legends GoGo Penguin. Things sound better when you get to the lows and mids, but don’t expect to be blown away. There’s a lack of crispness that would otherwise bring life to tracks like Julien Baker’s mournful Appointments, or Sidney Gish’s quirky album No Dogs Allowed. All things considered, the TT-BH040 aren’t my favorite pair of cans ever, but they’re acceptable given the price tag. It fares a little better when you look at things like call quality. Ever time I used the headphones’ built-in microphone to speak to a friend, they could clearly hear everything I had to say. Chalk one up to the TT-BH040, I guess. I should point out, I’m not one to typically answer calls on my bluetooth headphones (it’s one of those things, like Crocs and grown adults riding scooters, that looks inherently ridiculous), but in the name of covering all my bases, I had to gave it a try. TaoTronics says the TT-BH040 can last for 30 hours between charges. In my experience, that felt about right. Battery life is seldom at the top of people’s wishlists when they buy headphones, but I must admit, it’s pretty reassuring to know that I can take these cans on vacation and I won’t have to worry about them dying halfway through my flight. There’s one really important caveat to this though: You can turn ANC on without actually turning on your headphones. I presume that’s for those who want to listen to music via the 3.5mm jack, or just want to get some quiet in a noisy place. This means that if you forget to turn ANC off, you might find your battery drained when you come to use your headphones next, which obviously isn’t good. If you’ve only got $70 to spend, I wouldn’t hesitate to recommend it, alongside other solid efforts like the Mixcder E8’s (which we’ll be reviewing in the coming weeks), and OVC’s H15 earbuds. The thing is, if you can pay a bit more, you get a lot more. 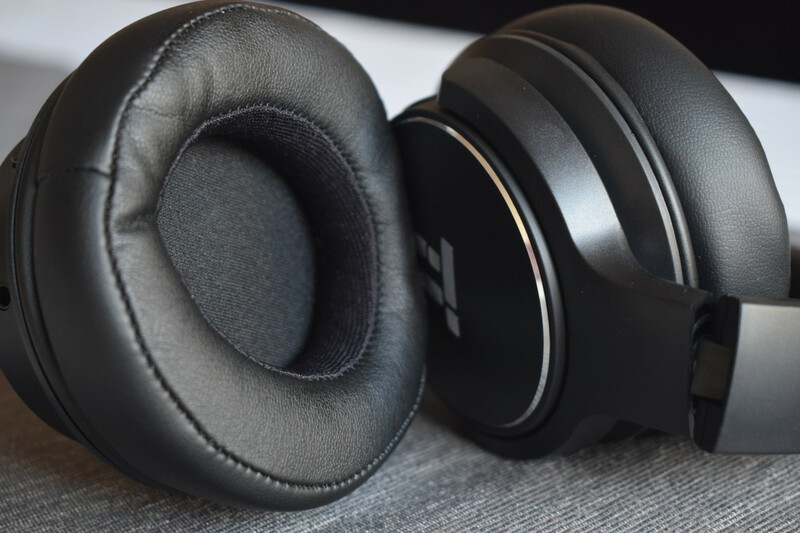 The next logical step-up from the TT-BH040 is Anker’s Soundcore Space NC headphones, which we reviewed a few weeks ago. 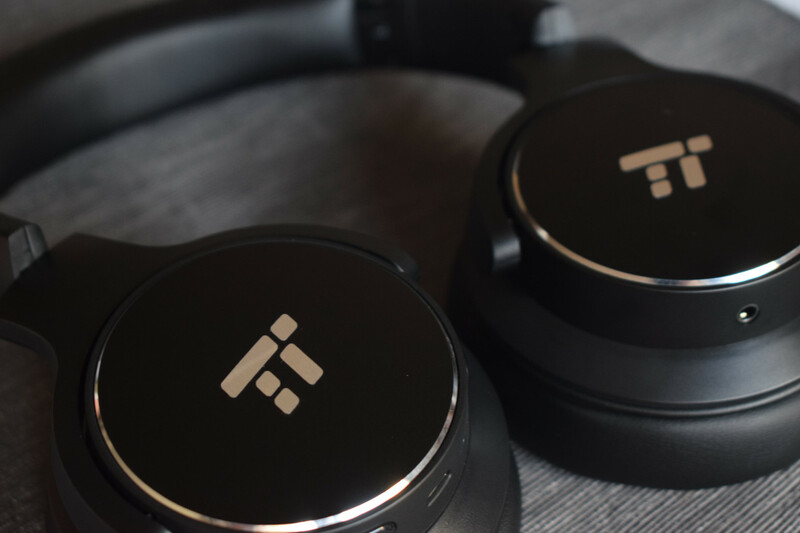 These cost $100 — or just $30 more than TaoTronics’ effort — and blow it away in terms of ANC performance and sound quality. If your budget can stretch that far, you’d be advised to consider them.